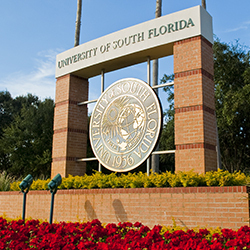 The University of South Florida is a large, public 4-year university offering undergraduate, graduate, specialist and doctoral level degrees. 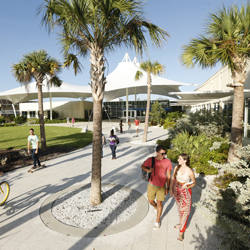 The USF System is comprised of three schools: the University of South Florida; USF St. Petersburg; and USF Sarasota-Manatee, serving nearly 50,000 students representing over 130 different countries. The USF System ranks 9th in the nation among public universities and 21st world-wide for granted U.S. patents among all universities according to the Intellectual Property Owners Association/NAI (2015) and U.S. News and World Report ranked USF Tampa as a Best College for Veterans (2016). All USF campuses are separately accredited within the USF System by the Southern Association of Colleges and Schools™ Commission on Colleges (SACSCOC). 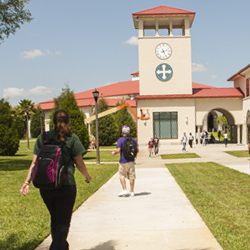 Founded in 1889, Saint Leo University is a leading Catholic teaching institution that enrolls more than 16,000 students from 49 states and 86 countries—ranking the university among the five largest Catholic higher education institutions in the United States. Saint Leo University offers over 40 academic programs including associate, bachelor's, master's, specialist, and doctoral degree programs as well as pre-professional and sccelerated-learning programs. In December 2016, Saint Leo University was named a Top School by Military Advanced Education & Transition (MAE&T) for providing high-quality education to those who are serving or who have served in the armed forces. 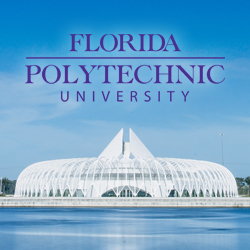 Established on April 20, 2012, Florida Polytechnic University is a wholly innovative university dedicated to the principle that innovation occurs when research and creativity are applied to real-world challenges. Florida’s only public university dedicated to science, technology, engineering and mathematics (STEM) was created to be both a rigorous academic institution and a powerful resource for high-tech industries and is designed to produce graduates that possess the talent and job-ready skills to stand out from the crowd. Pasco Hernando State College (PHSC) serves approximately 17,000 students and combines high tech educational facilities and state-of-the-art programs with a traditional focus on teaching. Training for more than 30 high-demand careers in healthcare, law, business, and human services are available, and technical programs are designed and taught by experts in their field using the latest equipment and technology, including; business, computer engineering, and healthcare. PHSC serves students from four campuses conveniently distributed throughout Pasco and Hernando Counties in New Port Richey (West Campus), Dade City (East Campus), Wesley Chapel (Porter Campus), and Brooksville (North Campus). Rasmussen College campuses provide hands-on learning in small class sizes for a classroom experience that replicates the real world. As a result, 85% of graduates are employed in their field of study or continuing their education, including; Health Sciences, Business, Justice Studies, Nursing, Design, Technology, and Education. Pasco County campuses are located in Land O' Lakes and New Port Richey. 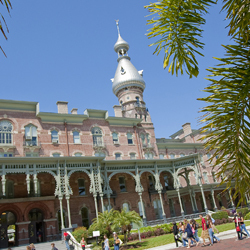 The University of Tampa is a medium-sized private university accredited by the Southern Association of Colleges and Schools™ Commission on Colleges (SACSCOC) to award associate, baccalaureate, and master’s degrees. Over 8,000 students attend UT from across the United States and 140 countries. The university conferrs approximately 2,000 degrees annually from 200 academic programs of study. The university has been ranked among the best of the best by U.S. News & World Report, Forbes and The Princeton Review. Eckerd College is a private, coeducational college of liberal arts and sciences known distinctively for marine science, environmental studies, international relations and global affairs, creative writing, management, study abroad, and civic engagement. Eckerd's 1,850 residential students from 47 states and 33 countries choose among 38 majors leading to a Bachelor of Arts or Bachelor of Science degree. 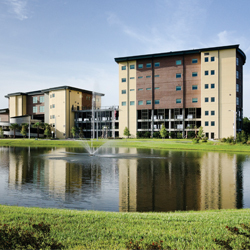 SPC Florida’s first two-year college (founded in 1927) and Florida’s first community college to offer bachelor's degrees (2002). Today, SPC is one of 14 State Colleges, and served as a model for incorporating bachelor's degree programs into traditional two-year institutions. The college's University Partnership Center offers more than 100 bachelors, masters and doctoral degrees. 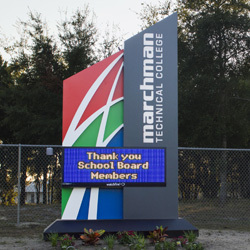 Since 1984, Marchman Technical College has provided the education and training needed to reach students’ academic and professional goals. MTC currently offers 12 technical training programs including: HVAC, electical, commercial art technology, computer systems and information technology, digital cinema production, commercial foods, early childhood apprenticeship, patient care technician, marine service technology , and more. 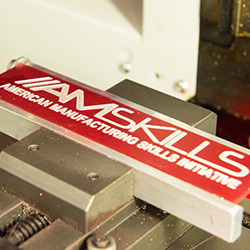 The first of its kind in the United States, AMskills is an industry-led economic and workforce development initiative that works with the German Embassy’s Skills Initiative — delivering an American take on the proven training scheme underlying the success of the German manufacturing model. The goal: to train America’s future manufacturing CEOs and entrepreneurs according to the business needs of today’s high-tech manufacturing companies. AMskills delivers a world class, company-sponsored four-year apprenticeship program. Tampa Bay students train under the guidance of today’s precision engineering companies — learning technical skills that propel them into advanced manufacturing careers. Thanks to a technologically cutting-edge, industry-led training program, AMskills graduates meet business needs, and are highly sought after by regional, national and international employers. Tampa Bay’s local business leaders are teaming up with Pasco County high schools to create rigorous career and technical education programs that respond to the needs of the labor market. 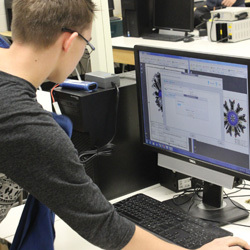 Pasco’s Career Academies are organized around such themes as health sciences, business and finance, information technology, energy, hospitality and tourism, automotive service technology, robotics, building technology, aeronautics, law, communications and journalism, agritechnology, veterinary assisting, and engineering. With the guidance and partnership of business and industry professionals, these programs ensure that students understand the realities of the workforce and the economy and are prepared with college and career ready skills necessary for success.